Many people have difficulty sleeping in the summertime. This probably happens because the shorter day length makes us more active. Japanese researchers at the University of Kagoshima and the amino-acid manufacturer Kyowa Hakko Bio published the results of a study which you can interpret as suggesting that ornithine supplementation may offer some help. Many people have difficulty sleeping in the summertime. This probably happens because the shorter day length makes us more active. Japanese researchers at the University of Kagoshima and the amino-acid manufacturer Kyowa Hakko Bio [kyowahakko-bio.co.jp] published the results of a study which you can interpret as suggesting that ornithine supplementation may offer some help. Kyowa Hakko is part of Kirin, a division of Mitsubishi. Within the Kirin Holdings Company a Functional Food Business Project developed an interest in the effects of ornithine on sleep. For example, the project was involved in a human study that was published in spring 2013 in BioPsychoSocial Medicine [Biopsychosoc Med. 2013 Feb 18;7(1):6. ], in which researchers studied the effect of ornithine on sleep after alcohol use. The researchers got their subjects to drink alcohol in the evening, and then gave them a capsule containing 400 mg ornithine or a placebo. They discovered that the amino acid reduced the concentration of the stress hormone cortisol the following day. In the figure on the right the black bars represent the subjects who had taken ornithine. The researchers used a standardised questionnaire to ascertain from the subjects the following day how well they had slept. The ornithine users reported feeling significantly less fatigue than the placebo users and they also reported less lassitude. In July 2013 another study was published by the same group on the effect of ornithine on sleep. The subjects this time were the members of a Japanese expedition to Antarctica. They spent three months at the South Pole after arriving in December. So it was summertime there and the sun never set. During their stay the placebo users reported that the quality of their sleep deteriorated. 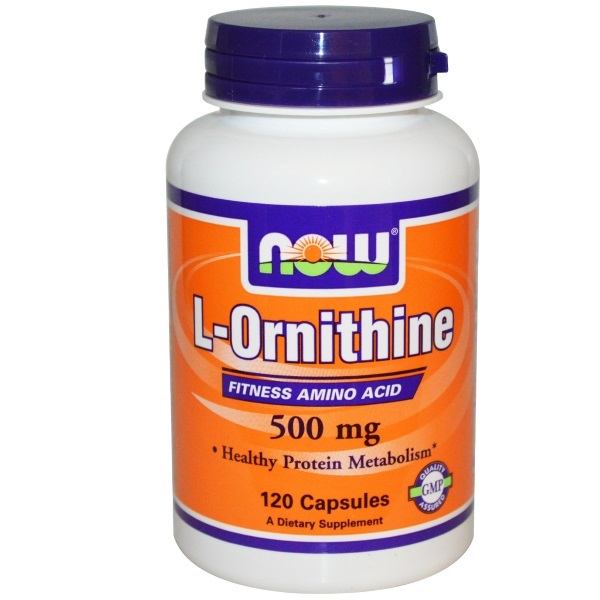 The ornithine users, who took 400 mg ornithine every day for two months, reported that their sleep quality remained stable. At the end of the two months they reported that their quality of sleep had actually improved. The researchers are still puzzling over the mechanism at work here. They suspect that the ornithine administration meant that the brain was supplied with more serotonin, but this theory was not supported by blood tests carried out on the subjects. A few years ago we wrote about an experiment done by the biochemist Mohamed Gad, who gave his test subjects a nightcap of 5 g L-arginine. Arginine is a metabolite of ornithine. The subjects’ health improved on all fronts: they started to feel noticeably better and reported that they slept better too.